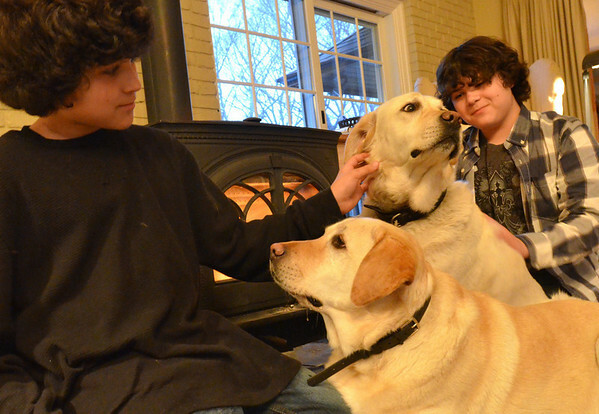 Topsfield: Quinn Giraud, 11, and his brother Zane, 15 sit in front of a fireplace with their yellow labs. Freddy, right, broke through ice on the edge of the Ipswich River. Ginger, his sibbling, barked until help came.